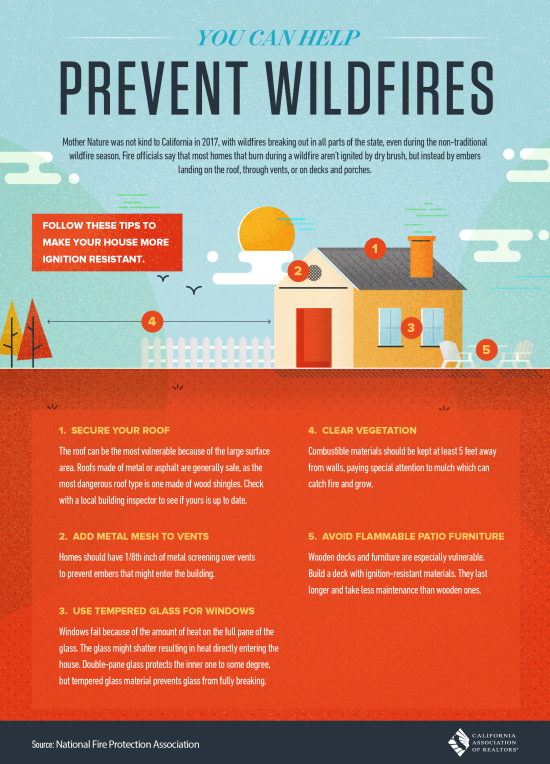 It is important to have defensible space around your home and these tips may also help you prevent damage to your property. 3. Use non-flammable patio furniture. 4. Consider your Windows and use Tempered Glass.